One way to know that you’ve made it in Hollywood is to own your very own lavish home. And with prices figuring into the tens of millions, every celebrity on this list has proven their success--in a big way. With all that money invested, you’re sure to come across amenities that the average homeowner would never even dream of--the likes of a man-made lake, a high-tech movie theatre or a recreational compound. If you’re in the mood to envy the super-rich for a while, keep reading for our list of the most amazing Hollywood homes. 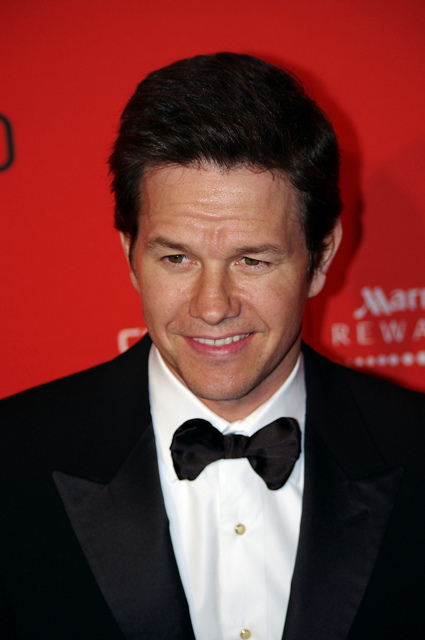 Mark Wahlberg’s low-key Hollywood hideaway. Considering his Boston-bred, down-to-earth persona, it’s no wonder that this underwear model turned dramatic actor would opt to live in a family-friendly gated community. His Beverly Hills home does have some perks unknown to the typical family, however, including a view of LA’s Runyon Canyon, lots of lawn and a waterfall pool. Oprah Winfrey’s personalized paradise. If you’re looking for a home that screams success, try one of her five homes. More specifically, her Montecito, California estate, which she calls “The Promised Land” has more amenities than any one person could count. The home is situated on 45 acres of land, which includes a Rose Garden to rival the White House’s. She also has a lake filled with exotic sea life and her very own cinema to help her while away the hours in her 23,000-square-foot home. Will Smith’s Calabasas castle. Gone are the days when this actor’s signature role was as a poor Philadelphia-raised youth struggling to adjust to the Beverly Hills lifestyle. Turn after turn in action-packed Hollywood blockbusters like Independence Day and Men in Black means that Smith has finally arrived--and in luxurious fashion. His $20 million California home is actually a remodeled castle with all the athletic accouterments fit for a king -- including a golf course, several basketball courts and a pristine lake. Tom Hanks’ $26 million dream home. Here’s an actor who doesn’t have to worry about mortgage rates. Tom Hanks of ‘Forrest Gump’ fame has purchased the most expensive home in Los Angeles. The nearly 20-year-old home is has a contemporary design and two levels. Located on the Pacific Palisade, it’s previous owners were film-producing power-duo Frank Marshall and Kathleen Kennedy. Beyonce’s island retreat. Though she’s known primarily for her hit albums, this R&B powerhouse has taken a turn or two in front of the camera. Equally as talented (and rich) husband Jay Z bought her a massive gift for her 29th birthday -- her very own island. Located off the coast of Florida, the 12.5-acre land mass came with a hefty price tag of $20 million. And there’s no getting on or off the island unless you have celebrity credentials -- primarily in the form of a personal yacht or helicopter. Victor Daniels is a prolific entertainment blogger.